Click on the images to download postcard templates from our wonderfully creative volunteers! Color Me In – VOTE! by volunteer Nancy K. 4-up design. 1 sided. You Lose If You Snooze by volunteer Giliani R. 4-up design. 1 sided. Your Voice Is Your Vote by volunteer Giliani R. 4-up design. 1 sided. We The People by volunteer Giliani R. 4-up design. 1 sided. We Can Do It by volunteer Giliani R. 4-up design. 1 sided. Wake Up America by volunteer Giliani R. 4-up design. 1 sided. Voting is like Driving by volunteer Giliani R. 4-up design. 1 sided. Vote Liberal by volunteer Giliani R. 4-up design. 1 sided. Vote Island by volunteer Giliani R. 4-up design. 1 sided. Diversity Vote by volunteer Giliani R. 4-up design. 1 sided. Ballot Box by volunteer Giliani R. 4-up design. 1 sided. Connect The Dots by volunteer Deborah Garber at GarberStudio.com. 4-up design. 1-sided. Time To Vote by volunteer Deborah Garber at GarberStudio.com. 4-up design. 1-sided. The Key by volunteer Deborah Garber at GarberStudio.com. 4-up design. 1-sided. Vote For by volunteer Deborah Garber at GarberStudio.com. 4-up design. 1-sided. 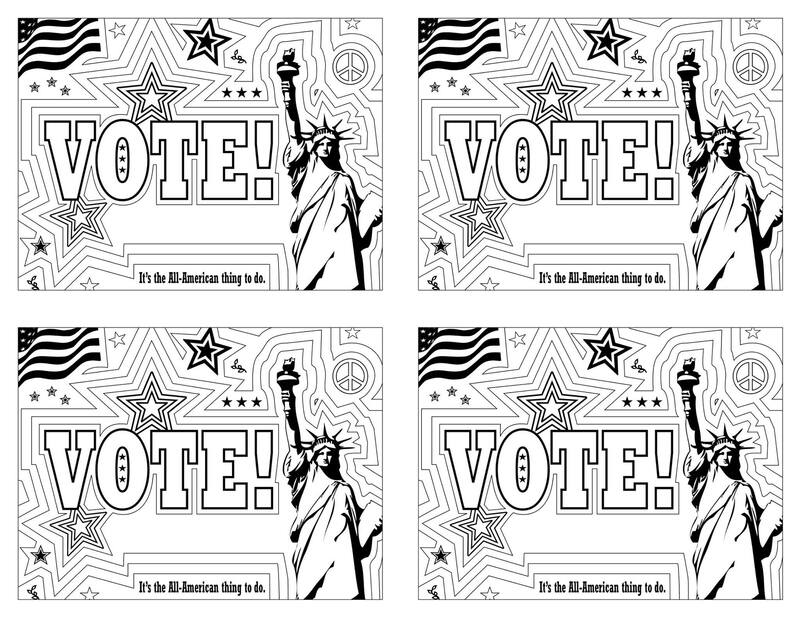 Rock The Vote by volunteer Giliani R. 4-up design. 1 sided. Vintage Girl Flag by volunteer Carrie L. 4-up design. 1 sided. BW Eagle by volunteer Carrie L. 4-up design. 1 sided. Vote Color (1) by volunteer Nancy K. 4-up design. 1 sided. Vote Color (2) by volunteer Nancy K. 4-up design. 1 sided. Special Election by volunteer @weprogressives. 4-up design. 1 sided.